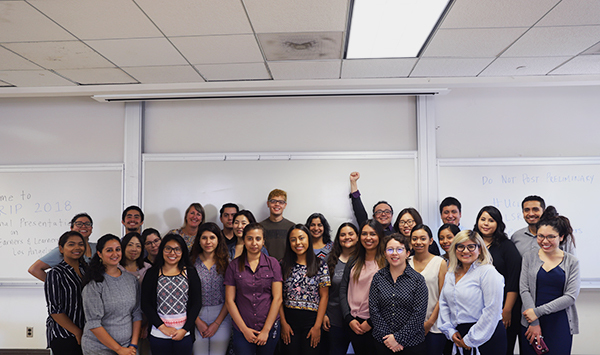 Last week the 2018 Labor Summer Research Internship Program (LSRIP) came to a close with Labor Studies students presenting their research findings on “earners and learners” in Los Angeles County — students who attend college and also work. 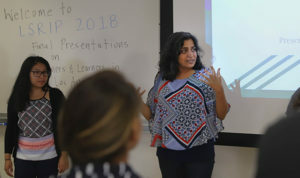 The course was taught by UCLA Labor Center researchers Saba Waheed and Preeti Sharma as part of the Labor Studies program. 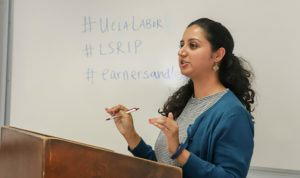 LSRIP offers UCLA undergraduates the unique opportunity to investigate pressing community issues through applied research justice methods. Past LSRIP research has culminated in reports on the gig economy, carwash industry, and young workers in the service sector. Recent census data shows that almost half a million Angelenos are earners and learners, and three quarters of them attend a public school. About half are between the ages of 18-24, and 51% are 25 or older. 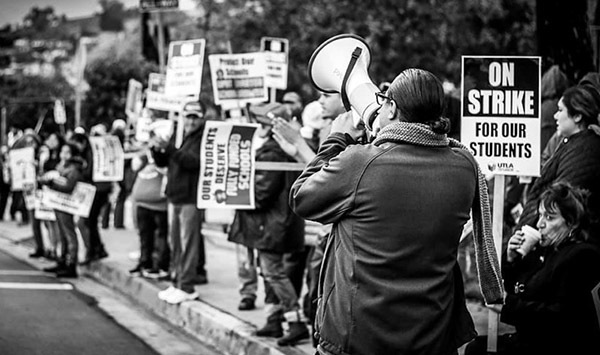 Working in the low-wage service economy while pursuing a higher education often means delaying or forgoing opportunities that can advance their professional or educational pathways, including internships, academic conferences, and volunteer work. This summer, LSRIP students sought to understand the experiences of earners and learners who work at least 15 hours each week and are enrolled in a minimum of 6 units at public 2 and 4 year colleges across Los Angeles County. They researched a range of topics including the role of education, workplace concerns, balancing schedules, and costs of food, housing, and debt. Through the course, LSRIP students developed both quantitative and qualitative research tools for the project. They launched pilot surveys and interviews, testing questions and providing feedback to UCLA Labor Center researchers. Students also conducted data analysis, which involved coding interviews, developing themes, and referencing relevant academic literature. Over the course of Summer Session C, students collected a total of 115 surveys and 46 interviews with earners and learners at 1 UC, 5 CSUs, and 22 community colleges in Los Angeles County. The 2018 LSRIP marks the first step in a larger research project on earners and learners. Over the next year, researchers aim to gather a total of 800 surveys. UCLA students interested in participating in the earners and learners research project this fall can enroll in LBR & WS 194B – Earners and Learners in Los Angeles: A Research Seminar.